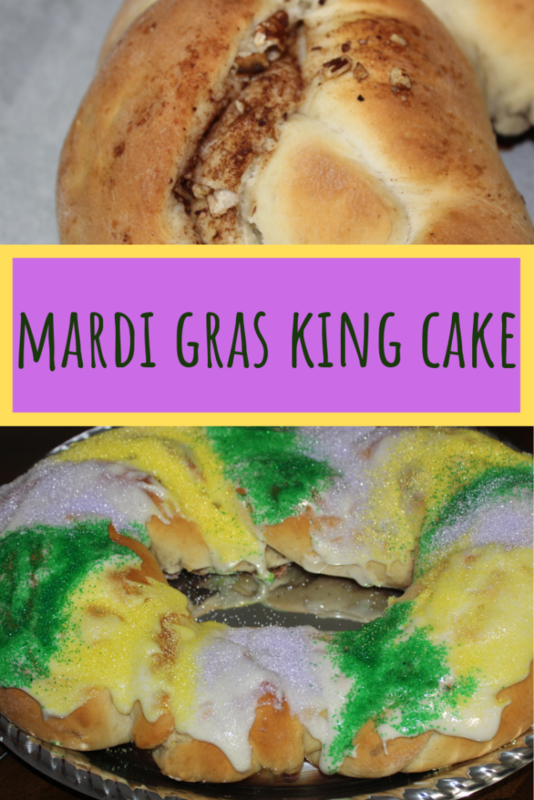 This Mardi Gras King Cake is so delicious and easy to make! This yummy king cake is made with Swerve sweetener and uses skim milk to lower the calories in it but tastes even better than a traditional king cake. Try it out yourself, and I’m sure you won’t be stopping at the store to purchase a king cake again! It’s king cake season here in Louisiana, and there is nothing better than a king cake to celebrate Mardi Gras season! So many grocery stores sell delicious king cakes, but there is nothing better than a homemade king cake. I usually make at least one every year right around my son’s birthday because he loves them as much me. This year I tried something a little different by changing the type of sweetener in the king cake. I love to use Stevia in recipes instead of regular sugar, but because you need confectioner’s sugar to make the icing on king cake, I used a new sweetener called Swerve, which has both granulated and confectioner’s sugar. Plus, it tastes just like sugar but without all the calories, which lowers the calories in your king cake! Win win! To lower the calories in the king cake even more, this recipe uses skim milk throughout the recipe. So, if you aren’t from South Louisiana and have never heard of Mardi Gras or a king cake, a king cake is made with a dough that is rolled up and tastes like a cinnamon roll with an icing similar to a cinnamon roll’s icing as well. There is the plain king cake or you can have a filling in it. The filling can be pecan praline (my personal favorite), Bavarian cream, or many other flavors. My king cake has chopped pecans in the layers, but it isn’t filled with any certain flavor. Try my delicious Mardi Gras king cake and I’m sure you’ll stop having to buy them from the store! If you live somewhere where you don’t have king cake, here’s your way of trying a delicious dessert! 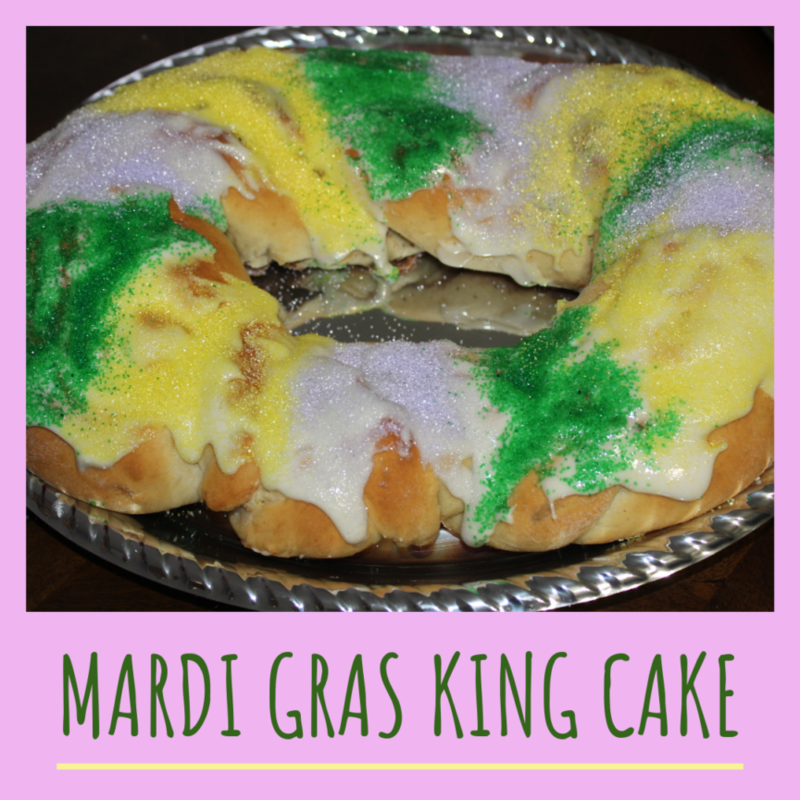 This Mardi Gras King Cake is so delicious and easy to make! This yummy king cake is made with Swerve sweetener and uses skim milk to lower the calories in it but tastes even better than a traditional king cake. Try it out yourself and I'm sure you won't be stopping at the store to purchase a king cake again! Canola OIl Spray This is to spray the bowl so the dough doesn't stick. Melt one stick of butter. Add 1/3 cup Swerve granulated sugar, 1 tsp salt, and melted butter into a mixing bowl. Mix until combined using a dough hook. Mix the yeast and 1 cup milk together in a separate bowl and set aside for 5 minutes. Add the eggs and vanilla extract to the mixing bowl and mix until combined. Add the milk with the yeast to the bowl and mix again. Add in the flour one cup at a time to the bowl. Once all 4 cups are added and combined in the mixture, mix on low for around 2-3 minutes. Then mix on medium speed until a ball of dough starts to form and the dough is pulling away from the bowl. Coat a large bowl and the dough with the canola oil spray and place the dough in the bowl. Cover and set in a warm place for 1.5 hours. While the dough is resting, place 1/2 tbsp cinnamon and 1/2 tbsp granulated Swerve with the pecans in a pan and roast the pecans on medium heat for 4-5 minutes, stirring the pecans into the cinnamon mixture. Place the roasted pecans in a food processor and chop the pecans into tiny chunks. 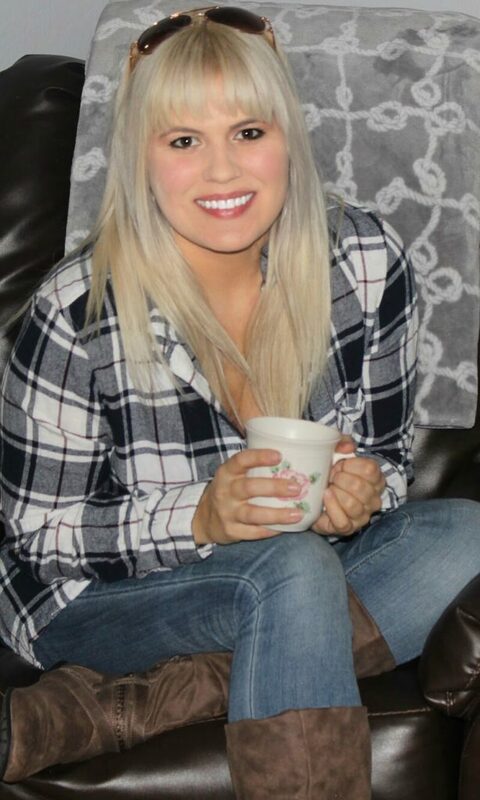 Set to the side. Take out 1/3 stick of butter and leave out to reach room temperature. In a small bowl mix 1/2 cup granulated Swerve and 1/2 tbsp cinnamon. Once the dough has risen to double it size, take the dough out of the bowl and knead it for 5-10 minutes. Roll out the dough on a floured surface into a rectangle. Take the room temperature butter and spread evenly across the dough. Top with the cinnamon sugar mixture. And then finally the roasted, chopped pecans. Cut the dough into three equal strips to make three long rectangles. You then need to take each piece and roll it up like a cinnamon roll. Be careful because the pecans will fall out if you do this wrong! Once you have three long strands of dough that has been rolled, you need to move it to a baking sheet that has been lined with parchment paper. Now braid the pieces together like you would braid hair. Put the two end pieces together to create an oval shape. Let the dough rest for an additional hour. During the hour of waiting, preheat oven to 370 degrees F.
Bake the dough for 25-30 minutes. Take it out of the oven when the top is a golden brown color. Let the king cake cool off before adding the icing! I usually wait an hour or more for this. Mix 1.5 cups of confectioner's Swerve and 2-3 Tbsp of skim milk to make a pourable icing. You're wanting the consistency to be like a cinnamon roll icing. Top with your favorite colored sprinkles! Purple, Gold, and Green since it's a Mardi Gras King Cake after all!